How Farmers can cash in big with the Agrilend new digital international crypto-currencies. For decades, Agricultural businesses have been at the mercy of external as well as internal factors all disregarded by their reliant financial institutions for a multitude of complexities essential for business operations. From export, import, credit, financing, trade, as well as political turmoil or price fluctuations in commodity prices, gold, silver, currency exchanges, interest rates, and bond prices to name a few. 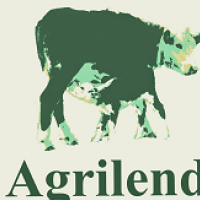 A new international encrypted digital crypto-currency is being developed right now by Agrilend, LLC founders to be used exclusively for farmers and will position an initial coin offering in the not so distant future. Farmers who need cash are not usually technologically savvy and are used to the old fashioned ways of having the bank lend, they are now seeking investment but also wanting to remain anonymous, the same as many private investors are seeking anonymity. Welcome to the Green Coin. Similar to cash-app you can send and receive cash by tokens to other users but this time anonymous, and the monies can travel internationally straight to your Iphone or Android phone with a push of a button and no limitations on a dollar amount. Transactions may be for hundreds of dollars to millions of dollars with a push of a button. By GreenCoins' decentralized, distributed nature, encrypted digital currency has the same potential for transforming economic structures as personal computers did for overhaul management and communication structure. Most importantly, the privacy security innovations needed for digital currency for agriculture are instrumental for the success of agricultural business to succeed by developing the next level of adaptive complexity in today's information based society. GreenCoin will rewire the nature of how agribusinesses, and farmers receive and distribute cash instantly without the need for banks.